Changing the way we live into a more sustainable model has been one of the most important tasks we’ve undertaken over the last few years. Fossil fuels both pollute and won’t last forever. There are simple ways we can solve this problem though. Using renewable energy as much as possible. That’s why solar powered speakers are so great. You don’t need to pay to charge them and you’re helping the environment. Everyone’s a winner. We’ve run down the ten best sets on the market, all with bluetooth connectivity so you can connect pretty much any device to them. So, which solar powered speakers give you the best sound experience? 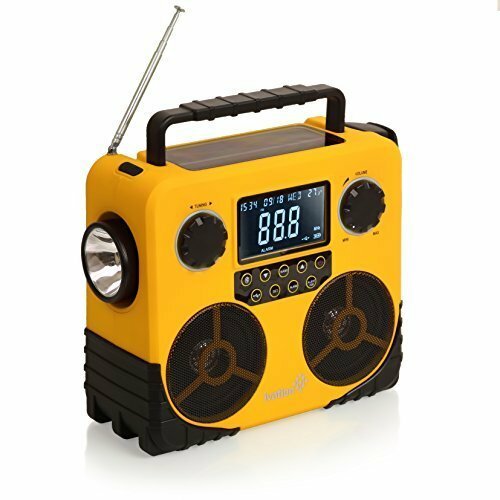 The MicroSolar Bluetooth speaker is a waterproof speaker with a 10 hour battery life. That means that the solar panels on top of the speaker can charge the battery to hold 10 hours of play time. In addition to this the solar panel is capable of taking in enough sunlight to power the speaker. This means you don’t have to wait for it to charge in order to use it. This is especially useful for those times when you’ve used the speaker all night and want to carry on in the morning. The build quality is on the whole excellent. It is robust and durable with the only weak spot being the silicon covering for the mini USB connection. As this is used to enhance the waterproof nature of the speaker then it should only be moved when necessary. The Bluetooth connectivity is on the whole of a good quality, it does have one minor fault though. It can only hold one device in its memory at a time. That means if you forget to disconnect the last device you used, a new one can’t be connected. As long as you remember to disconnect when you are finished then it should be fine. 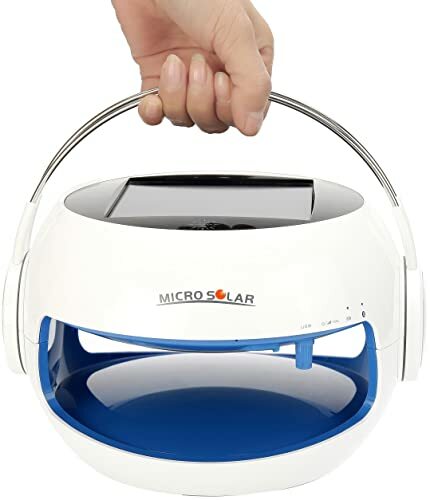 The sound quality for the MicroSolar is excellent. It does need to be hung slightly off the ground to get the full range of sounds from it though. This is because the speaker is facing slightly downwards and if it is touching the floor it hinders the sound somewhat. 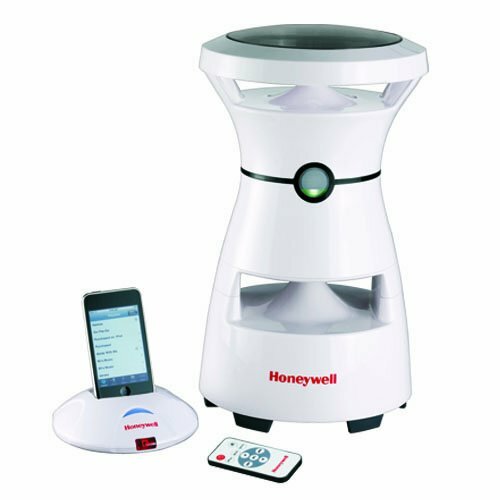 The Honeywell Outdoor Wireless Solar Speaker has a wide number of features. It has an 8 hour battery life which helps to keep the speaker running in the dark. It is also capable of running directly from the solar panel. While it doesn’t offer Bluetooth connectivity it does include a docking station which allows wireless usage. It also includes an AC adapter and remote control. This means that if the power dies and there is no sunlight the speaker can still be used. There is also the ability to control the speaker from a distance so you never have to get up. The sound quality is superb with good clarity available across a range of frequencies. The 8 hour battery life is a decent amount of time for listening. The ability to use the speakers through either the solar panel or AC adapter means that a dead battery doesn’t stop the party either. 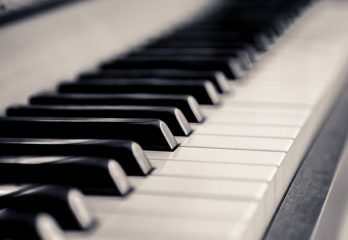 The inclusion of a remote control means that it is easy to have your music set at the right volume. You don’t even need to get up out of your seat! The design is a really enticing futuristic look that will draw your eye to it. This is combined with good build quality that means the speakers will last. While there is no Bluetooth available devices can still be connected using either the dock or the aux input. This does mean that depending on your mobile device they may not be completely wireless. 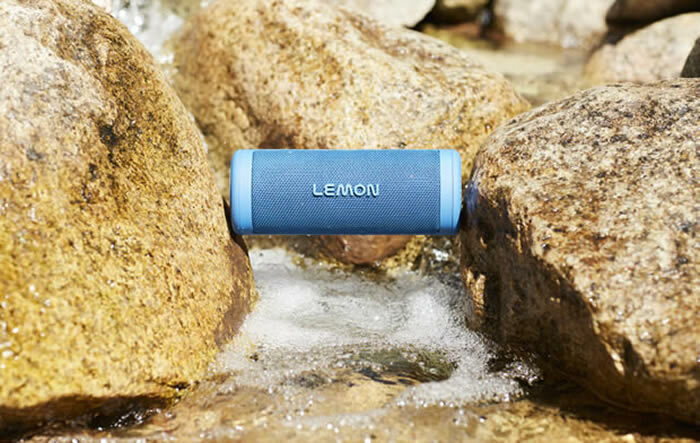 The Lemon California Solar Powered Waterproof Speaker is one of the most feature packed speakers on the market. Offering a 15 hour battery life it gives users an incredible amount of time to use their speakers. It allows Bluetooth connectivity for up to 3 devices at a time and even includes a power bank to charge up to 3 mobile devices at a time. The Bluetooth connectivity is incredible on this speaker. Allowing 3 mobile devices to be connected at the same time you can allow everyone to have a choice when it comes to the tunes. 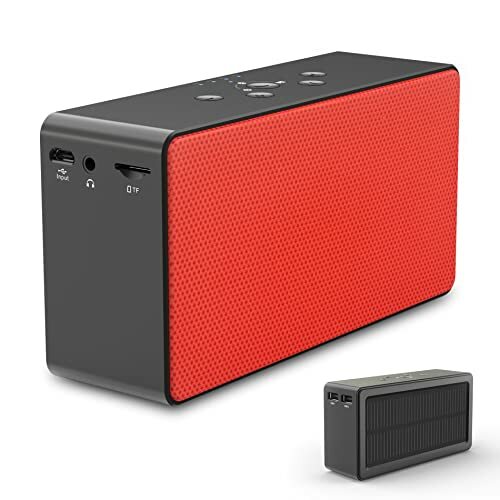 The speaker also includes a power bank which can charge up to 3 devices at once, all you need to do while they are charging is use your tablet to control the music. It really is an incredibly useful multimedia centre. The California Roll is one of the most durable speakers on the market. The rubber coating means that it is shockproof. It can handle temperatures up to 60 degrees and as low as minus 20 degrees. It can also be completely submerged in water. No matter what you get up to, your California Roll can handle what you throw at it. The quality of the sound is excellent. 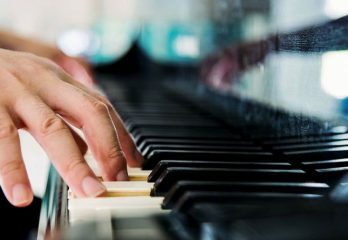 It is rich and full and will give you a complete appreciation of the music that is playing. If you want to really ramp things up the California Roll allows you to. 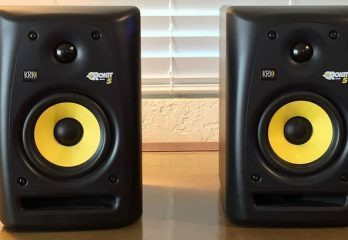 The ability to connect more than one speaker means that stereo sound is available very easily. 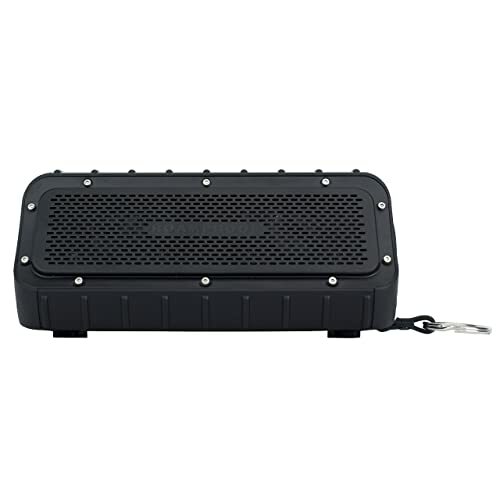 The MacroBoom Waterproof Camping Bluetooth Speakers can only be described as a monster. High levels of durability are combined with a top quality battery and excellent sound to provide a speaker that will satisfy almost anyone. The battery has a 15 hour play time, which puts it on a par with the best batteries on the market. It has the ability to charge while being used, although it does charge slower in that situation. If the battery dies during the night it does offer the ability to charge via a mains adapter as a last resort. The speakers themselves are designed to be almost indestructible. Made from stainless steel and an injection moulded body it’s as hard wearing as it gets. This means that it won’t stop working if it gets dropped. It’s also shockproof, dustproof and waterproof. The waterproofing is so good on the MacroBoom that it can last for up to 30 minutes completely submerged in up to 1 metre of water. The MacroBoom is so sturdy you can even run it over in your car and it will be okay. With 2 bass radiators and 2 deep range drivers it allows for stereo sound to be offered out of just 1 speaker. This makes the sound quality excellent and ensures that the device always provides top class sound. It allows for Bluetooth connectivity and can even be used as a power bank if your phone is dying. 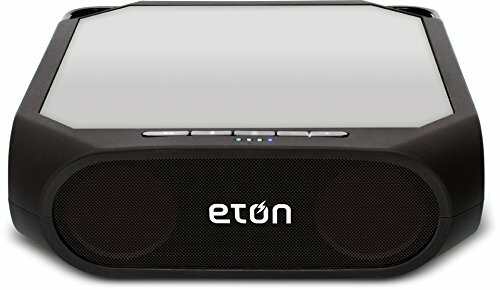 The Eton Rugged Rukus is a solar powered Bluetooth speaker that is designed to be tough and rugged. With a high level of durability, good battery life, fast charge and decent sound quality it allows people to enjoy their music on the go without having to worry about running out of power. The speaker itself is splashproof, so will be fine when used by the pool. It’s also strong which allows for it to be able to absorb small drops. This means that it is perfect for using outdoors in any setting. The sound quality is on a par with most mid range speakers on the market. 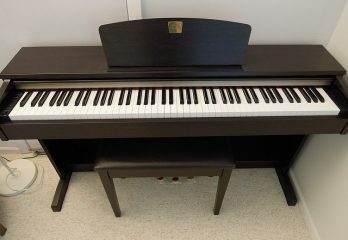 It offers a good level of clarity, without truly offering high fidelity like a top of the range model. The battery life of 8 hours is a good level of battery life. It also charges when in direct sunlight within 5 hours. This means that it doesn’t take long for you to get a full charge from the Rugged Rukus. There is also the option to charge you mobile devices through the Rugged Rukus. This allows you to remove the worry of your phone dying when out in the wilderness. The Rugged Rukus can work as a replenishable power bank. The Eton Rugged Rukus Xtreme has a name that jumps right out of the screen at you. It promises water resistance, high quality sound and 8 hours of battery life. Does it manage to deliver on all of these promises? Does it manage to improve on the original Eton Rugged Rukus? Let’s find out. The sound quality on the Rugged Rukus is second to none. Including bass extending radiators, digital signal processing and 2 full range speakers to provide stereo sound the Rugged Rukus is a sound lovers delight. It really does provide crystal clear clarity and high fidelity audio. This is remarkable for such a relatively small device. The battery life of over 8 hours is excellent and the solar panel charges quickly to make sure that you don’t have to worry about the darkness closing in. 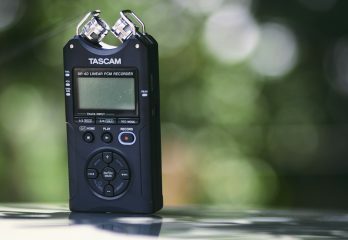 It includes Bluetooth so you can connect almost any mobile device and it also allows you to make and receive calls through the speaker. You can also use the high-efficiency solar panel to charge your phone! It’s a relatively durable speaker, offering water resistance, but not full waterproofing. This means that it can be used by the pool, but care is required to make sure it doesn’t fall in. The Ivation is a masterpiece of modern and retro design features combined together. It includes both a solar panel and a hand operated dynamo. It can play music both through Bluetooth and through the radio. It can charge your mobile devices. It includes a flashlight, clock with the date and an alarm. It even has an emergency signal which can be used in a variety of ways. It truly is a jack of all trades, but is it a master of none? The short answer to that question is no. The speakers provide excellent sound quality that also provide a good level of volume. This is important if you’re on an off the grid adventure and want to listen to music while you’re out in the wild. 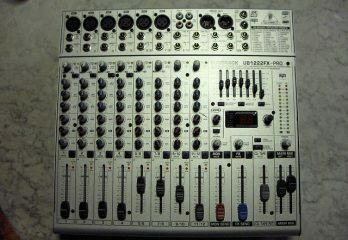 First and foremost the speaker quality is the most important aspect. The battery life isn’t as good as on other devices. This is where the Ivation lets itself down somewhat. The solar panel is also slow to charge. However, it does have the added bonus of a crank operated dynamo. This allows for manual charging, which in an emergency can be incredibly useful. This means that if your mobile phones dies at night, the hand crank allows it to be charged. The additional features that are included on the Ivation are all useful, especially the flashlight. It allows for night time walks to be fully illuminated and adds an extra layer of safety. The clock, date and alarm all mean that the Ivation really is an outdoor powerhouse. The Solweiek looks like has come directly out of a ventilation shaft. Don’t let that fool you into thinking it isn’t a top class speaker though. It promises high quality sound and superb battery life. Does it manage to achieve that? Let’s take a look. 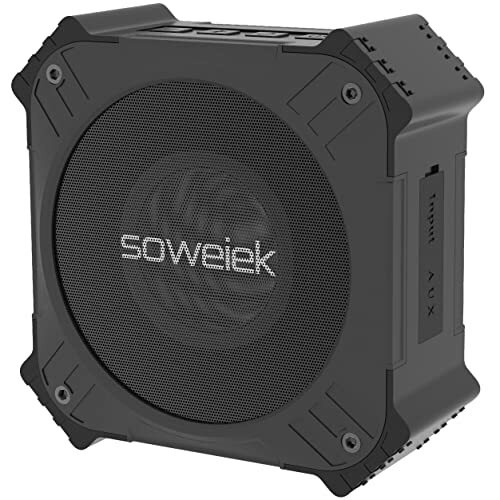 The solar panels that are included on top of the Soweiek speakers are high performance monocrystalline. This means that they will easily charge the battery in double quick time. In addition to this the batteries hold 20 hours of charge which is more than enough for any camping trip. The solar panels charge automatically as soon as the speakers are left out in the sun, which means it is simple to charge up these speakers. The sound quality is superb. It features a 5W 52mm driver which provides high fidelity sound and rich bass tones. This means that no matter where you are you can listen to your tunes without having to worry about the sound quality not being up to scratch. The speaker itself is highly durable. It is shockproof, splashproof and dustproof. This means it can easily withstand what life throws at it. It can also be charged through the mains if the battery dies when the sun has gone down. In addition to this it includes Bluetooth connectivity so it can be used with almost any device. The ZeroLemon has an insane advantage over every other device on the market. With a 72 hour battery life there isn’t a device on the market that can offer a battery life as long. If you’re in an area with little to no sunlight then this could be the speaker for you. Do the other areas of the ZeroLemon live up to the promise that the battery life shows? 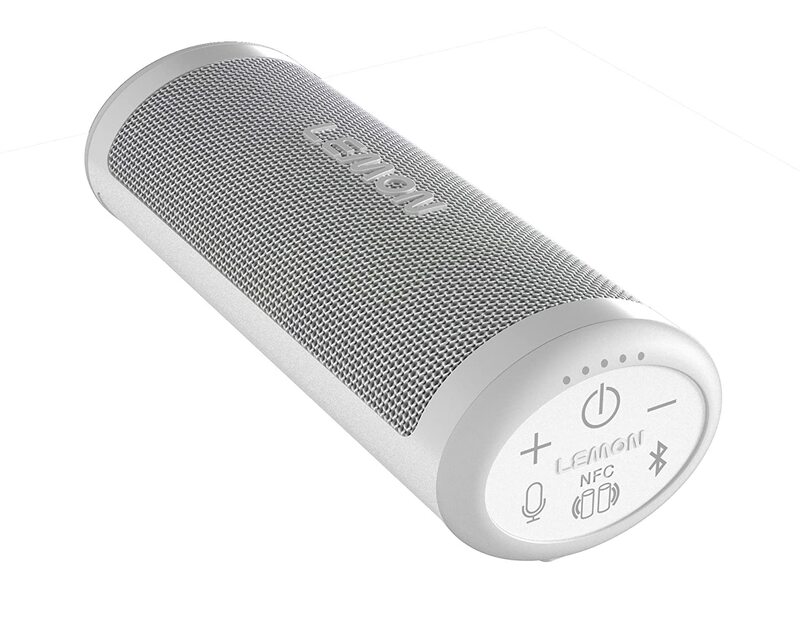 In terms of sound quality The ZeroLemon offers 10W stereo sound. 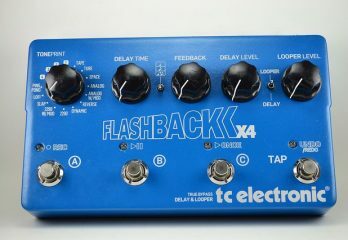 It achieves this with dual drivers and enhanced bass performance. This means that you’re not sacrificing sound quality for a speaker that will last a long time. The battery life isn’t just useful for listening to music though. It also doubles up as a power bank. This means that if your phone or tablet are running low on power and you have nowhere to charge then the LemonZero allows you to charge your device quickly and easily. The Bluetooth performance on the ZeroLemon is excellent too. 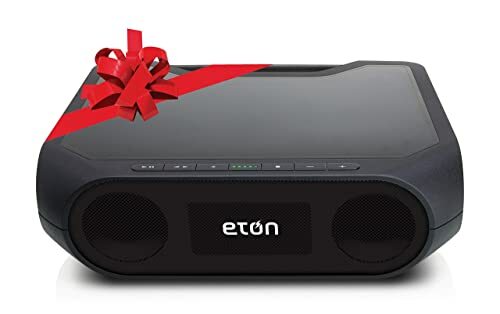 With a range of 32 feet and full compatibility with any Bluetooth device it won’t take long for you to have your music playing from any device you might choose. The Nuboom looks like a rugged device. The kind of speaker that could survive a plane crash. Well, it’s not too far off being able to do that, but what about the rest of the features? Does it live up to the almost indestructible nature of the speakers? The Nuboom offers high fidelity stereo sound. It achieves this by working its sound through a set of dual 5W speakers using an APT-X chip. This provides superb sound at all times. As if this wasn’t enough it even boosts the bass with a subwoofer in the back. 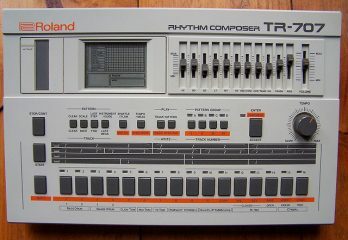 This makes sure that all sound comes out like it means it. The battery life for the Nuboom is one of the best on the market. With 55 hours of playtime when using the speakers at 70% volume it will last over two days without being charged. Of course if you’re outdoors then your Nuboom will be charging the whole time. It also has excellent Bluetooth connectivity allowing for a distance of 32 feet between devices. If your device doesn’t have Bluetooth then there is no need to worry, the Nuboom allows a 3.5mm jack to be used. The Nuboom is also shockproof up to 6.5 feet and is splashproof. That means you don’t have to worry about it slipping out of your wet fingers when you get out of the pool. It won’t be worried about the wetness and the drop won’t damage it either. The Nuboom is made to be used in any and every situation. It’s difficult to choose between such a wide variety of excellent speakers. Each one has its own reasons for being the best, but there is one that stands out from the rest. 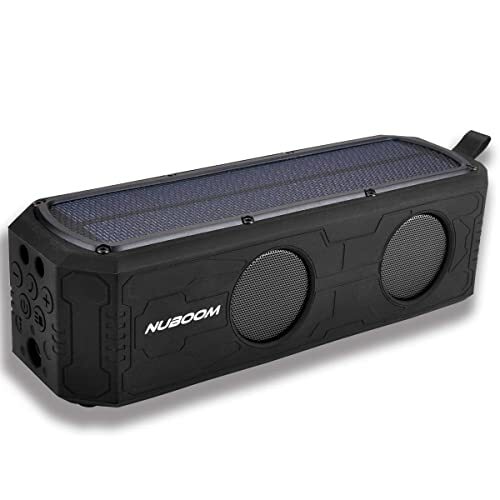 The Nuboom Solar Powered Bluetooth Speaker has risen to the top of the pile. It offers one of the largest batteries in terms of battery life, it has sound quality that can compete with any other device on the market and it’s Bluetooth connectivity is second to none. If the Nuboom is within your budget then it is the best overall speaker on the market.